Your safety and image of bicyclists depend on you. You have the same rights and responsibilities as drivers. Obey traffic signals and stop signs. Ride with traffic; use the rightmost lane headed in the direction you are going. Make your intentions clear to everyone on the road. Ride in a straight line and don’t swerve between parked cars. Signal turns, and check behind you well before turning or changing lanes. Ride where people can see you and wear bright clothing. Use a front white light, red rear light and reflectors when visibility is poor. Make eye contact with others and don’t ride on sidewalks. Anticipate what drivers, pedestrians, and other people on bikes will do next. Watch for turning vehicles and ride outside the door zone of parked cars. Look out for debris, potholes, and other road hazards. Cross railroad tracks at right angles. Check that your tires are sufficiently inflated, brakes are working, chain runs smoothly, and quick release levers are closed. Carry tools and supplies that are appropriate for your ride. Wear a helmet. Make sure you’re visible to drivers at all times and make eye contact with them whenever possible. This is especially important at night, in low-light conditions such as dusk or dawn or in inclement weather. According to NHTSA’s National Center for Statistics and Analysis, 32 percent of all pedestrian fatalities occur between 8 p.m. and 11:59 p.m. Wear lightly colored or reflective clothing at night and brightly colored clothing during the day. Stay in well-lit areas, especially when crossing the street. If possible, make eye contact with drivers in stopped vehicles to ensure they see you before you cross in front of them. Distractions are everywhere today and becoming more and more difficult to avoid. Remember that, as a pedestrian, your eyes and ears are your best tools for keeping safe. Stay alert and watch out. Put down your phone. Smartphones and handheld electronic devices are a daily part of life, but they take your eyes off of the road and distract your attention. Don’t wear headphones. Your ears will tell you a lot about what is happening around you – be sure to use them. Know and follow all traffic rules, signs and signals. You need to be aware of the rules vehicles around you must follow to properly anticipate what drivers will do. This will help increase your safety. Never assume a driver will give you the right of way. Make every effort to make eye contact with the driver of a stopped or approaching vehicle before entering the roadway. Use crosswalks when crossing the street. If a crosswalk is unavailable, be sure to find the most well-lit spot on the road to cross and wait for a long enough gap in traffic to make it safely across the street. Stay on sidewalks whenever possible. If a sidewalk is not available, be sure to walk on the far side of the road facing traffic. This will help increase your visibility to drivers. Avoid walking along highways or other roadways where pedestrians are prohibited. Almost half of all traffic crashes resulting in pedestrian casualties involve alcohol consumption. Surprisingly, 34 percent of that total was on the part of the pedestrian. Alcohol impairs your decision-making skills, physical reflexes and other abilities just as much on your feet as it does behind the wheel. We know that it can be frustrating and even nerve-wracking to drive around people on bikes. You might be in a hurry, or the person biking could be riding erratically. Whatever the case may be, no one wants to have a collision and hurt another person! Check out this guide for understanding the responsibilities of both people in vehicles and people on bikes. Human beings were not designed to go much faster than about 15mph. Anything beyond that speed is simply unnatural for us. Unfortunately, many new drivers get into the habit of looking directly in front of their vehicle and no further. You probably don’t think you’re one of those people, but this problem usually goes unnoticed. Just how far ahead should you look? As far as you can! MILES, even! This article goes into great depth about how to properly look far down the road and anticipate any hazards. Most accidents could be avoided if people would have better situational awareness and planned ahead by looking as far down the road as possible. In driver’s ed, most students hear over and over again that they should “get the big picture” while driving. Yet, if you ask any driver’s ed student what the definition is of “getting the big picture” you’ll get a unique answer every time. That’s because nobody ever really defines this term. That is, until now. As a certified commercial vehicle driving instructor, I quickly found out that most people do not understand the concept of getting the big picture. While I can easily explain what this term means, it’s much harder for you to put it into practice. Bad habits are hard to break and most drivers have existing bad habits (yes, even you!). Here is a skill that is learned over time. In order to be one of the safest drivers on the road, you must always have an escape plan. While you may be a great driver, you can’t always predict what other drivers around you will do. In addition, factors out of your control could change a routine driving situation into a driving emergency very quickly. Say a dog runs into the roadway and everyone slams on their brakes. Or maybe someone has a tire blowout and begins spinning out of control. Where will you go? What will you do? And more importantly, how can you possibly plan for every possible driving emergency at every possible time? Here is one of the most commonly broken defensive driving tips in the history of driving. A safe following distance is just as important, if not more important, than keeping a safe speed. After all, you could be going 120mph but as long as there is enough space between you and other vehicles, you’ll never hit anyone. For some reason, it is human nature to hang out in packs and that is very evident with driving patterns. Everyone tends to drive from stop light to stop light in packs and if you leave too much space between you and the vehicle in front of you on the expressway, be prepared to get cut off. Remember back when cars didn’t even have cup holders? No? Neither do I. But at one time, cars were just cars. These days, cars have on-board computers, GPS systems, satellite radios (bababooey), sub woofers that make you sound soooo cool (seriously though, you don’t look or sound cool), and even flat screen televisions. And let’s not forget how many people eat and drive at the same time, text and drive, or even get distracted by passengers in the vehicle. From people driving pets around to screaming kids in the back seat and acts we can’t really talk about on this site, distracted driving is everywhere. Some of those distractions we can control, while others we can’t. Riding in the road with traffic can be intimidating, and that fact deters a lot of would-be riders from giving it a shot. It might be counterintuitive, but the road is actually the safer place to ride compared to sidewalks. Check out this awesome set of resources from The League of American Bicyclists to learn how to protect yourself on the road and have a worry-free ride. Many Lafayette Elementary Schools celebrate International Walk to School Day each year in early fall. Over the past several years, The Safe Routes to School Committee and volunteers hosted StoryWalks to promote Walk to School day. For more information one upcoming Walking & Biking to School events, check out www.walktoschool.org. What is Walk to School Day? 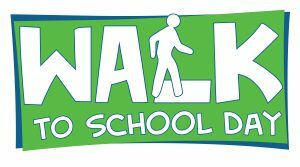 According to the National Center for Safe Routes to School, in the United States, International Walk to School Day is expected to include more than 5,000 events across all 50 states. Walkers from the U.S. will join children and adults in 40 countries around the world. The Safe Routes to School Committee of Tippecanoe County, in conjunction with Bike Lafayette, organized events and activities to promote biking to school. Bike trains were established for Glen Acres Elementary school to celebrate Bike to School Day and a bike rodeo was put together to teach students about bike safety through simulations. For more information about Bike to School Day visit www.walktoschool.org. 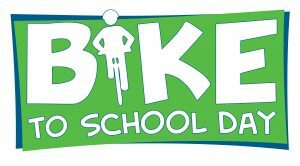 What is Bike to School Day?